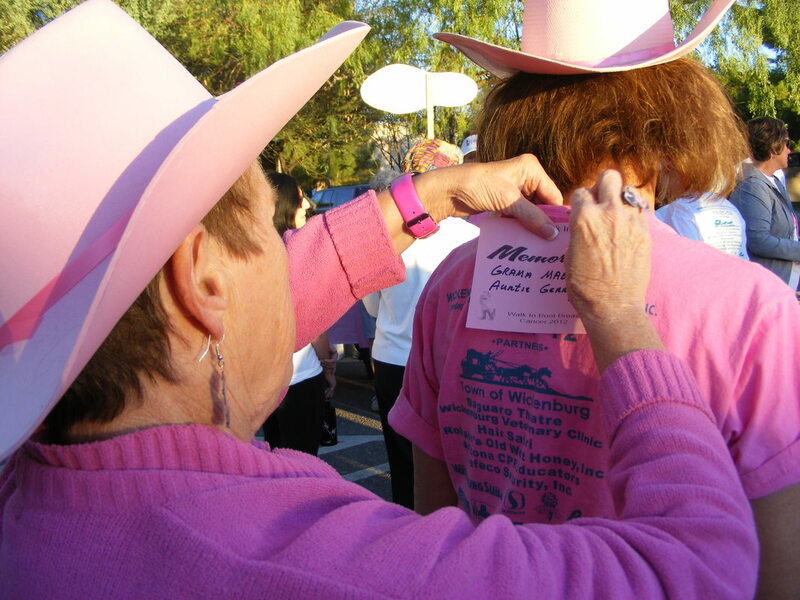 Teams - Wickenburg Breast Cancer Network, Inc. In 2010, it was determined that more people might participate in the annual Walk to Boot Breast Cancer if Teams were formed from various organizations, businesses, churches, and social circles in order to compete with each other for the "Team With The Most Members" and the "Team With The Most Dollars Raised." The last several years we have been fortunate to have 20 teams participating in the event! A "team" generally requires 5 or more members. Those not joining a particular team may sign up as individuals. Register here. 1. Registrations must be received by September 25, 2019 to receive an event T-shirt. 2. Teams must be registered by October 12, 2019 in order to compete. More team information is available by contacting Tabbi Voehl or Melissa James. Teams bring a great deal of excitement to the event and definitely generate more interest in participating. If you are on a team, your entry form should state which team you are with, and the form turned into your team leader if possible or you may register online here. Event T-shirts will be available from your team leader prior to the event.